Six men were reported injured after a ‘noxious substance’ was thrown in a street fight near the Stratford Centre shopping arcade in Stratford, east London yesterday at around 8 pm, Sky News said today. 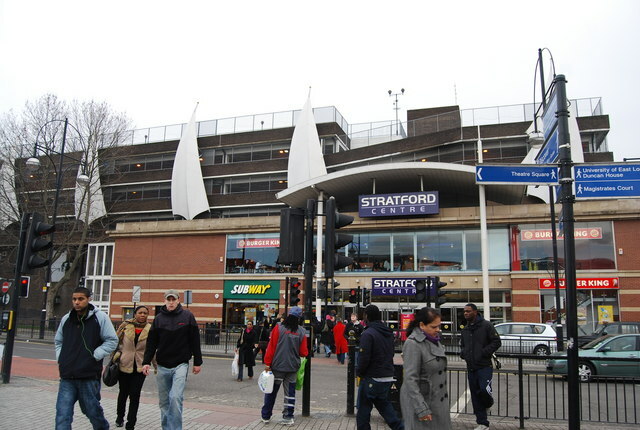 The incident occurred near to a Subway restaurant on the Broadway, close to Stratford’s bus station and the Westfield Stratford City retail complex. Three of the individuals needed hospital treatment after having a chemical thrown on them during the mêlée between two separate groups of males, Sky News reported. A 15-year-old boy was arrested on suspicion of causing grievous bodily harm. Shoppers saw one man in agony as friends called for help by shouting “it is an acid attack, his skin is burning”. People rushed to the scene with water to ease the man’s chemical burns, according to the broadcaster. The area where the fight took place was quickly cordoned off and treatment offered to the victims. Police, paramedics and fire crews all attended within 10 minutes. Paul Gibson, an assistant director of operations with the London Ambulance Service, said: “We treated six patients in total and took three to London hospitals”. Stratford administratively falls under the London Borough of Newham, and the borough’s police chief superintendent, Ade Adelekan, said: “I would like to be very clear concerning this incident. “What initially may have been perceived as a number of random attacks has, on closer inspection, been found to be one incident involving two groups of males”. Sky News reports that none of the men suffered serious harm in the street fight. Attacks on people by assailants with chemicals such as sulphuric acid, bleach and drain cleaner were once associated with honour attacks in places like South Asia, but have become increasingly common in London, due to the ease of buying and carrying around dangerous chemicals, and the punishment for such attacks is less severe than assaults with knives or guns. In June, 21-year-old student and model Resham Khan was travelling in Newham’s Beckton area with her cousin, Jameel Mukhtar, when an assailant flung acid in their faces while they were waiting at traffic lights. Even as far as back as 2011, a mother had acid splashed at her while walking her two children home from school in Upton Park. Latest figures published by the Evening Standard suggest a quarter of all acid attacks in London this year have occurred within Newham’s boundaries.